You have your website up, you are open for business, and you need to use social media to help you get the word out. Where should you turn? Facebook! Facebook is still the number one social media site, and it’s a great place to start with your social media strategy. Obviously, you need to do your own research on where you need to participate online that makes sense for your business, but with more than 1 Billion monthly active users, Facebook is a happening place. About section. Spend some time writing a good about section really getting into what your business offers and how you are different. You can add links in this section to areas on your website, add testimonials from happy customers, and add information about the history of your business. Take a look at these 4 examples of inspiring Facebook About sections to give you some good ideas. Also make sure you have some good text in the Short Description that appears on your Timeline since that is the most prominent part of your About section. You will also want to make sure the rest of your page is optimized and you can refer to this handy 10 point checklist. Now you need some social proof –- you need someone to Like you! I suggest starting with your warm market if possible. These are people who already know, like and trust you -– it doesn’t matter if they will never buy from you, they may refer business your way. So go ahead and invite your friends and family to Like your Page. Send out an e-mail to your friends inviting them to like your Facebook Page (and visit your new online business!). Tell them what types of things you will be posting. Make sure you include a link to your Page so they can easily Like it. Run a Facebook ad campaign. 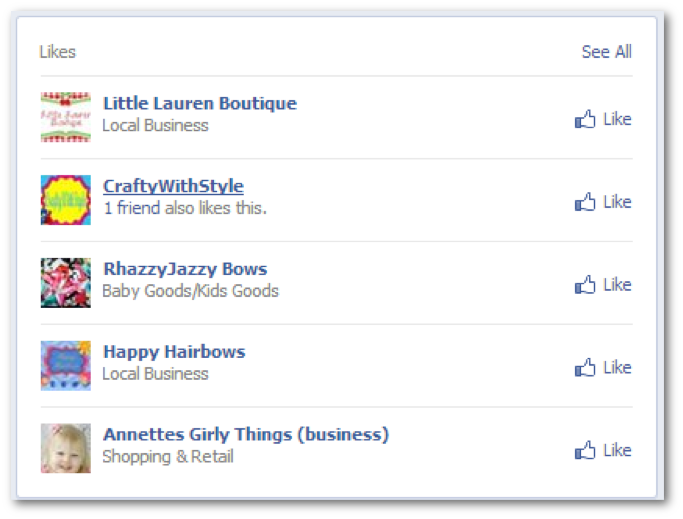 Depending on your target keywords, you may be able to get your first 100 Fans with a Facebook ad for as little as $50. Spending a little money for some social proof is a good idea when you are starting out. Of course, if you read this blog regularly, you know exactly how effective Facebook ad campaigns can be! Interact with like-minded pages as your Page (more on this in a bit). Put a Likebox on your website. Maybe you don’t have a ton of traffic to your new site but you hopefully have some as you launch! You may also want to look at 10 Ways to Grow Your Facebook Followingfor some interesting ideas. This tactic is sometimes under-used but can be a great way to build visibility. It just takes a bit of time. You can comment on other Pages as your Page (thoughtfully, not spamming your information on their posts) and build relationships. 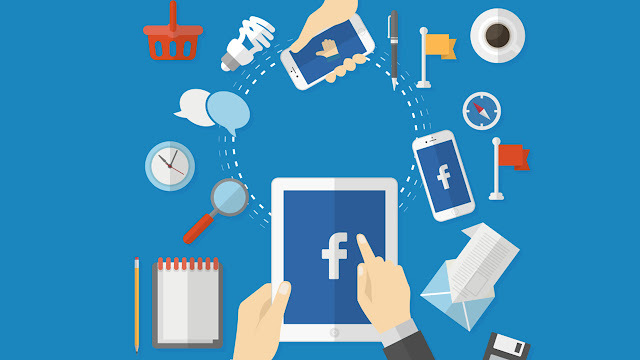 You can find the most appropriate businesses to connect with on Facebook in a couple different ways. First, you can start with Pages that may be complementary businesses. Say you provide Search Engine Optimization Services and another business provides Social Media strategy. You probably have an overlapping audience of businesses who want to get the word out about their own business online. Or your business is to sell the cutest hairbows ever to little girls. You would want to connect with businesses that sell the cutest necklaces ever to little girls. 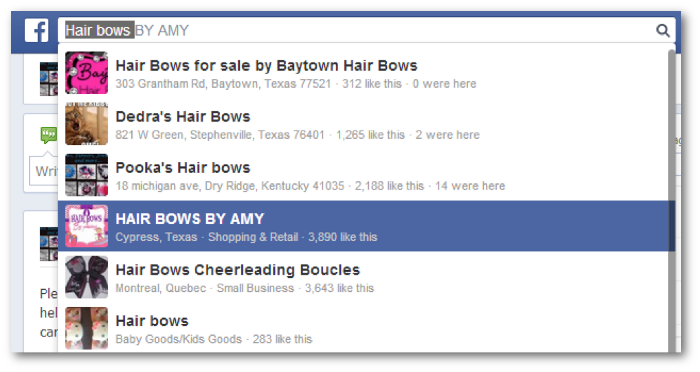 You can start by using Facebook Graph Search to find some of these pages. You are typically only going to find Pages with the words in the title of the Page. Now you can Like the Page as your Page and start commenting on that Page’s posts as your Page. Their audience will see your comments and hopefully connect with your Page. Or that page may also share some of your posts occasionally if you are sharing their content occasionally. You can also find some like-minded pages by looking at the Likes of the Page you are connecting with (still with me?? It gets a little circular). Go to the Timeline of a Page, and on the right column you will see a list of the Pages that the Page Likes. Click the “See All” link to get a popup of all the Pages that Page likes and you can find some interesting Pages that you may not find through Graph Search. Also make sure you check out more Facebook Graph Search techniques in point #2 of this post: How to Build a Facebook Audience from Scratch. Now that you have some of your Facebook connections, make sure you are driving them to your website. The easiest way to do that is to blog and use your great content as your bait. But sometimes you don’t have time for that. So you may want to feature your products a little more. Make sure you make it fun and ask questions to start a conversation. It also helps to have beautiful pictures of your products. If your products are not photo-genic or are more virtual products, consider investing in some good stock photography or graphics that will convey the idea of your product. If your business is online, I recommend getting people’s e-mail addresses in addition to connecting with them on Facebook. E-mail is still your best chance of being seen online. I was recently at a major retailer and they were offering $10 off coupons for every e-mail they received from people checking out. They know the value of e-mail! 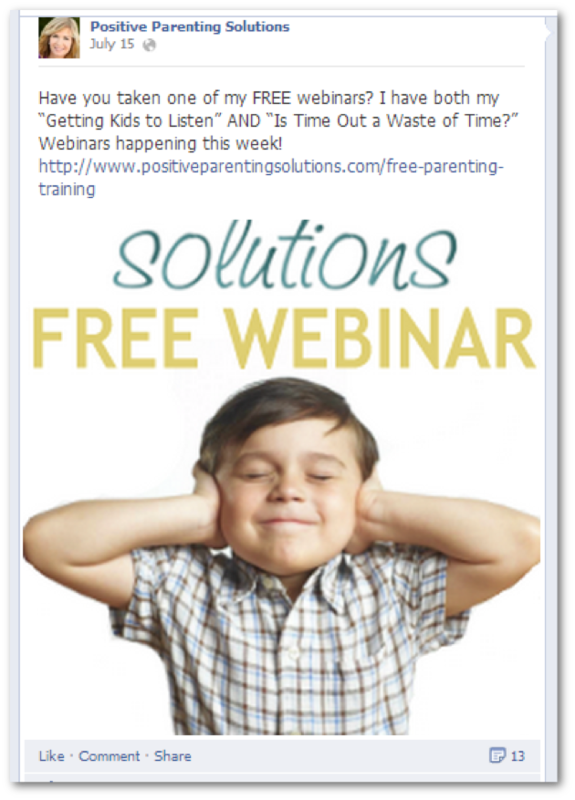 Use things like free reports, whitepapers, a free teleclass, free webinars, or contests to get people on your e-mail list. 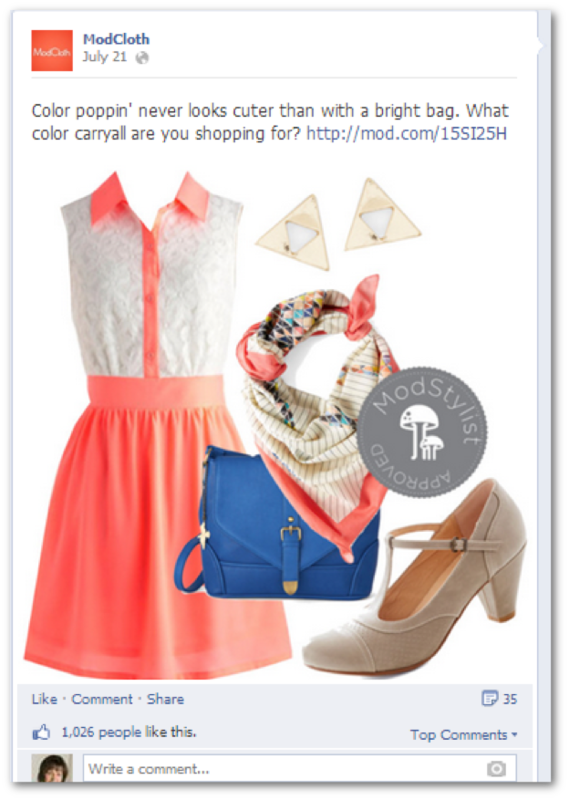 Use photos to enhance your post about your freebies and include your link to the freebie in the text. You can also use tabs as mentioned in Step 1 to connect your e-mail optin to your Facebook Page. Make sure you are sharing that optin occasionally with your Fans so that they know about it. Many people, once they Like your Page, may never return to the Page itself and just interact with you in the News Feed. So that should give you a good start on getting your Facebook presence up and running and assisting you in the launch of your online business.